You are here: Home / Tennis Equipment / After Christmas Tennis Equipment Specials, Discounts, and Deals! After Christmas Tennis Equipment Specials, Discounts, and Deals! Well folks, Merry Christmas (or happy holidays, depending on what you celebrate)! We here at Tennisthis.com, hope you have had the most enjoyable of holiday celebrations. As we wrap up the year, most tennis retailers have some major sales on their tennis equipment! So we have found some really great discounts on tennis equipment especially for you. TennisExpress.com has tons of tennis racquets that just went on sale today, so if you are looking for a new cheap (in price, not quality) tennis racquet, then take a look and see if you find a tennis racquet the suits your needs. There are discounts ranging from 20% off, all the way up to 70% off tennis rackets! You can find Head, Dunlop, Yonex, Wilson, Prince, Adidas, and Boris Becker tennis racquets on sale now and most of the tennis racquets come with free shipping, a free t-shirt, and free stringing! 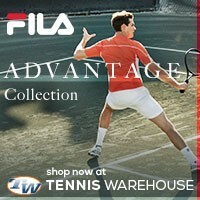 To purchase your next tennis racquet at a discounted price, check out the selection of rackets from TennisExpress.com! 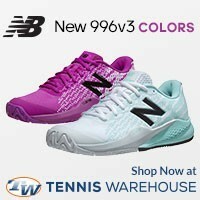 Not only are tennis racquets going on sale, but there are tons of tennis shoes on sale as well! What better way to finish out 2010 with a discounted pair of tennis shoes? 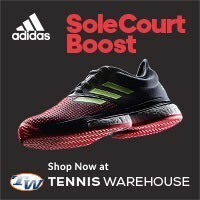 TennisExpress.com has closeout prices on nearly all brands of tennis shoes; Asics, New Balance, Adidas, Yonex, Lacoste, Head, K-Swiss, Wilson, and Babolat! Some even come with free shipping! If you have some worn out tennis shoes that you just can’t stand anymore, you should really consider getting a new pair, view the discounted tennis shoes at TennisExpress.com today and save! And don’t forget our special discount pricing on all Donnay tennis racquets! Buy your Donnay X-Series tennis racket at 20% off, plus free stringing, and free shipping! 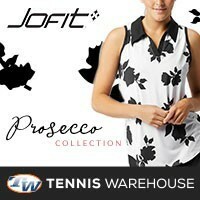 Buy direct from Donnay and use discount code “TennisThis” at checkout! Well folks, we do hope that you have found some great tennis equipment at some really great discounted prices this year! Check back as often as you would like for tennis product reviews, player information, tournament results, tennis equipment sales and announcements, and the things that we find about tennis! We wish you all a happy new year and a enjoyable 2011!